Have you ever thought that you’d like to drive around in an armored car? Well, the opportunity to do just that presents itself on July 13th, 2018 at the Bonhams sale to be held at the Goodwood Festival of Speed. This armored car is not an uncomfortable ex-military scout car however: this is an armored car at the pinnacle of British luxury, it is nothing less than a Jaguar factory supplied armored XJ8, built on special order for Her Majesty’s Government. 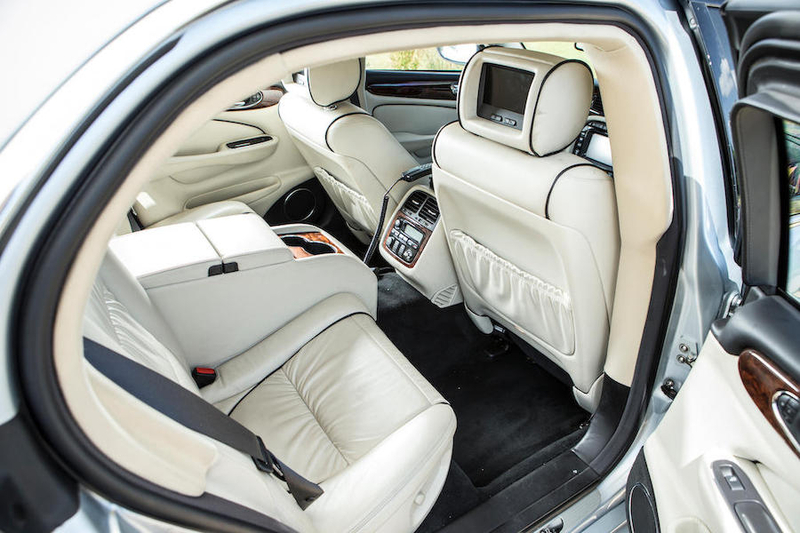 The interior of this armored Jaguar XJ8 is as luxurious as one would expect for such a car, and is complete with such features as telephone, DVD player, and head rest mounted screens. In a sense this is a bit of a real life “James Bond” car and it was originally used by ex-Prime Minister Baroness Margaret Thatcher, otherwise known as “The Iron Lady”. The car was supplied by Jaguar Cars to the government Car and Despatch Agency (GCS) making it a professional standard secure vehicle. The car’s armored protection includes a titanium roof, ballistic steel armoring, under-floor Kevlar layer, and bullet-resistant boro-silicate glazing. 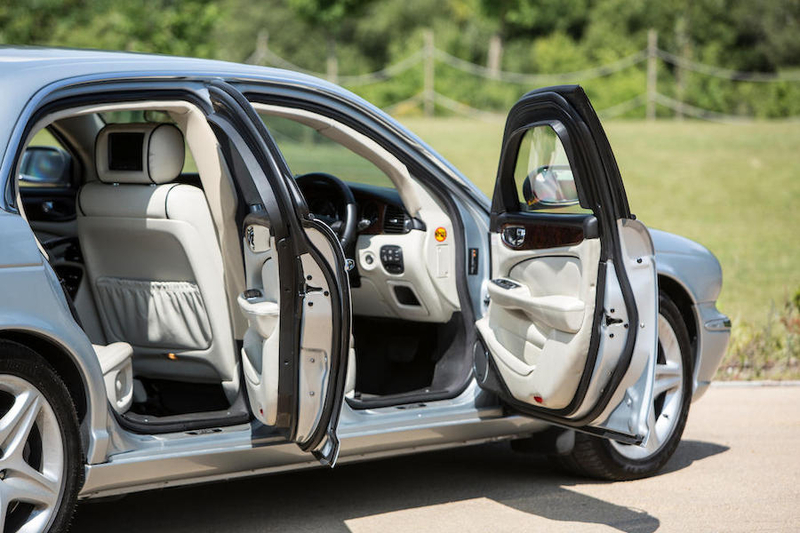 Potential buyers may wish to check with Bonhams as to the actual level of ballistic protection the vehicle provides. With the doors open it can be seen that the armor of the vehicle is quite subtle, and blends in perfectly. Mechanically the XJ8 is powered by the 4.2 liter Jaguar V8 engine and the brakes feature Alcon mono-block brake calipers (six-piston front, four-piston rear), high-performance brake pads, and ventilated discs, to ensure reliable performance despite the additional weight of the car. The suspension system is likewise made to deal with the additonal weight of the car and incorporates specially strengthened Bilstein B46 dampers and bespoke high-strength silicon-alloy Eibach springs. The tires are of the “run flat” type as one would expect for a vehicle of this type. 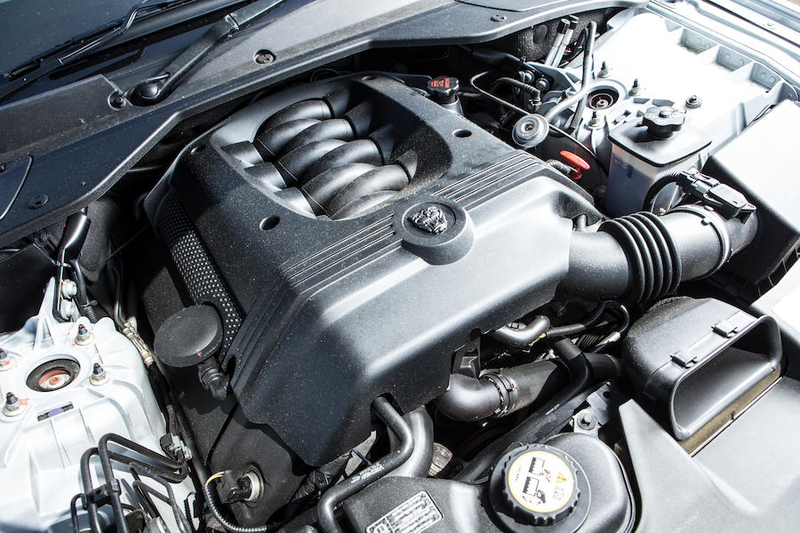 The engine of this car is the Jaguar 4.2 liter V8. This car has seen some public use, and as it was the car in which British Prime Minister David Cameron left Buckingham Palace after his interview with Her Majesty the Queen, it has appeared on television. As many, if not most of these official cars are subject to “secure disposal” at the end of their service life, it is unusual to be able to acquire one, let alone one in the pristine condition this one presents in. This car is in immaculate condition and has only covered 22,700 miles. This car has been in private hands since 2016 and it appears to be in mint condition, having led a very pampered life. So if you are looking for a genuine Jaguar Cars supplied armored car, and/or a car that has featured in British modern history, then this Jaguar XJ8 presents an ideal opportunity. If you are interested in finding out more about this car you will find the Bonhams sale page if you click here. The car is expected to sell in the range £25,000-£35,000, which given the car’s specification and the fact that it is a 2010 model with very low mileage, makes it a rather attractive proposition.